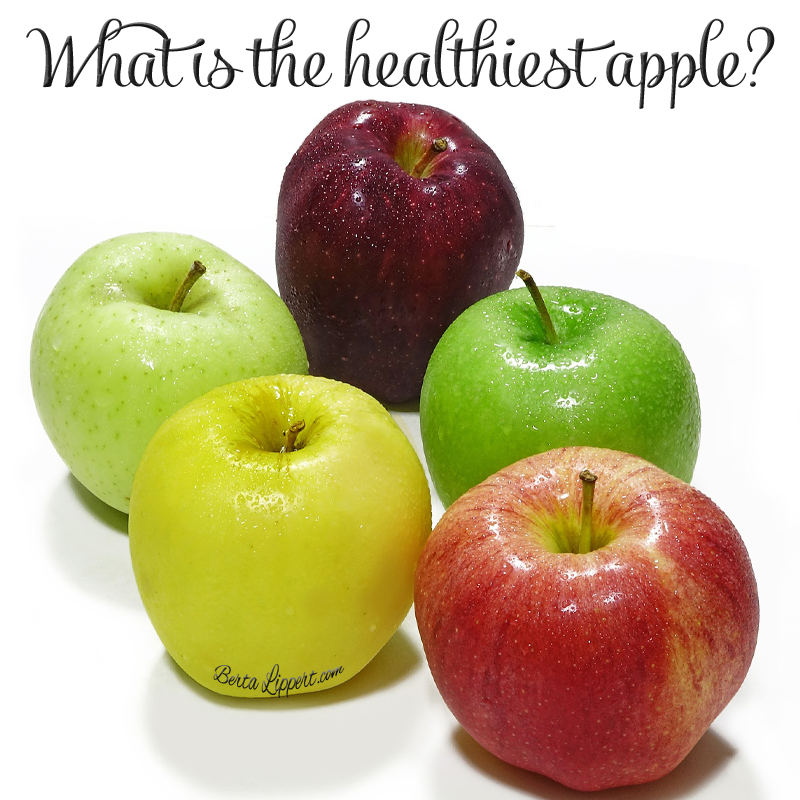 What is the healthiest apple? I brought my dad to the supermarket the other day and watched him as he carefully selected his apples, oranges, and bananas. I remember eating these three staples every day in our home growing up. And I remember watching my dad pack his tall, black, lunch pail with a sandwich, an apple, and an orange, every day before leaving for work at 7am. Every single day, it was the exact same thing. Always a sandwich, always an orange, and always a red delicious apple. Always. When I was at the store watching him select his red delicious apples, and seeing all of the other varieties around them, I couldn’t help but wonder (said in my inner Carrie Bradshaw voice), with all of these varieties available, which one is the healthiest? In the US, there are about 100 varieties of apples grown, however, the following account for almost 90% of all apples produced here. You can learn more about each of these on the US Apple Association’s website here. While certain varieties are better for cooking, baking, or eating fresh, what I was primarily interested in, was which one was the healthiest. Here’s what I found. There are several benefits to all apples including antioxidants, fiber and flavonoids. Epidemiological evidence of the health benefits of apples suggests a reduced risk of cancer, cardiovascular disease, and asthma, and may also reduce the risk of type II diabetes. You can find out more about each of these in the study here. So, what apple is the healthiest? According to the paper here, that reviewed literature regarding the health benefits of apples and their phytochemicals, phytochemical bioavailability, and antioxidant behavior, here are the apples that ranked highest in antioxidants. And here’s the ranking with regards to flavonoids. One important thing to note, there appear to be even more health benefits in the peel of most apples, so enjoying an apple “as is”, may be the best way to reap all the benefit apples have to offer. Nothing against apple pie, I like it too. Just know the health benefits of apples can be altered by the ripening, storage, and processing of the apple, and of course, how we eat it! One last thing before we go. There are heath benefits in all apples. So regardless if your personal favorite made it on the this or not, keep eating them! The healthiest one for you is the one you’ll actually eat! It’s the same answer I give my clients when they ask me what the best form of exercise is. It’s the one you’ll actually do often enough to experience the health benefits of doing so. So enjoy your apples my friend! Here are two ways I love to enjoy apples. 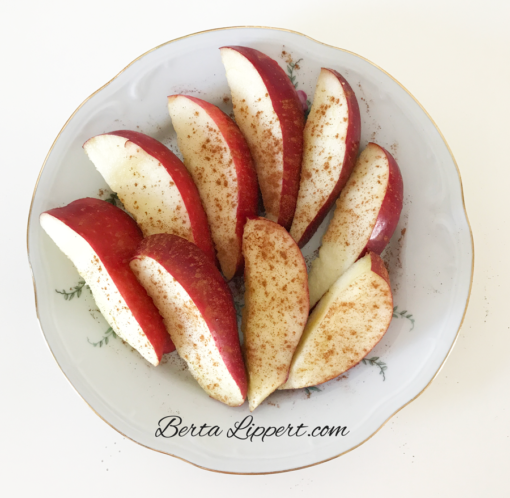 To curb a sweet tooth, I like to have a sliced apple sprinkled with cinnamon. 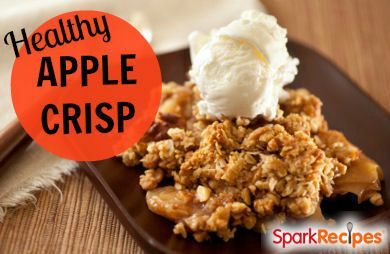 Or for a favorite fall treat (or really any time of year), I love a slightly modified version (I use maple syrup instead of brown sugar and a butter spread instead of margarine) of this Healthy Apple Crisp seen here. Enjoy!